Fenerbahce Beko’s Jan Vesely is expected to play in Game 1 against Zalgiris Kaunas. 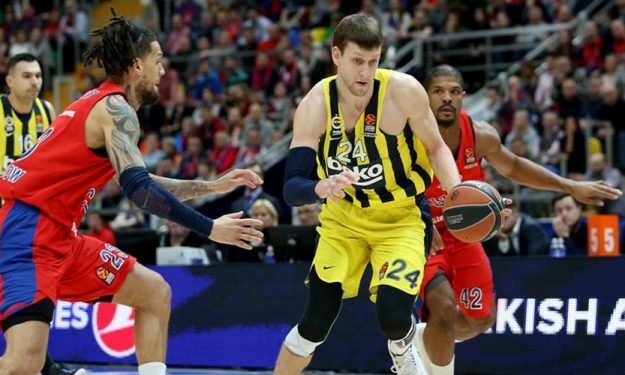 After missing a few games due to his latest injury, Jan Vesely resumed practices with Fenerbahce Beko and is expected to play in Tuesday’s home match versus Zalgiris Kaunas per Fener’s preview. Tyler Ennis and Joffrey Lauvergne will remain out for the EuroLeague Playoffs opener. Vesely, 28, took part in 25 Regular Season contests averaging 13 points, 5.4 rebounds, 2.4 assists, 1.5 steals and 0.5 blocks. He helped his team secure first-place seeding ahead of the postseason action. Eighth-seeded Zalgiris is the Turkish side’s opponent and EuroLeague presented the Head-to-Head of the best-of-five series.